My head is going to explode with all the fantastic ideas I've seen on other blogs and in magazines. Sometimes I get such an onslaught of ideas, I want to go in a hundred directions at once. Anyone else? It is a frenzy that hits me a few times a year. 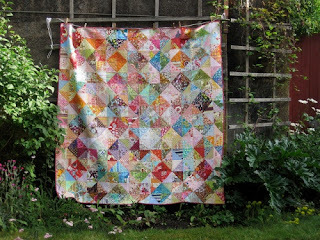 Check out this amazing quilt from SewKatieDid's blog. It is her Value Quilt, and she has a tutorial posted on the right side of her blog so we can all make one. I read about it here, and I so wish there was a class here in Pensacola for this. I will have to wing it! I am so awestruck by this quilt that I made it my desktop image at work. The quilting mesmerizes me. The mismatching of the fabrics that all work together somehow. Wow. What I have noticed about the fabrics she used here is the almost total absence of whites and off-whites. Do I even have many fabrics without those lights in them? I know I am really lacking in the Kaffe Fassett and Amy Butler realm of fabric stash. I must work on that. Other things buzzing around in my little brain: wall hangings and small quilts from the bazillion tiny HSTs I've accumulated. I hate clutter, but I can't throw these corner trimmings away. I know there are beautiful possibilities waiting in them. I just need a sewing fairy to stitch and press all of them, then trim them up for me. This is one example, "Sew Small." Or the many options from Laundry Basket Quilts like "Deep Blue Sea" "Tree Farm" or "Mountain Top." Edyta is not letting her little scraps go to waste at all! Also, since I have been pulling out UFOs this year and actually finishing them, what about my box of 1 1/2" strips in Fall colors? Log Cabin? Pineapple blocks? I need to decide and start knocking them out. I would love to have very few boxes of half finished projects and ideas laying around. On a totally separate note, do you have someone in your life struggling with depression, low self esteem, doubt, or hard times? I think these songs are especially important for girls and young women in today's world, but they can be a message to so many people, I shouldn't limit the targets to girls. I just know these mean a lot to my daughter. And to me. I have rediscovered the world of Christian music and I am loving it. I cannot wait to have a local concert get scheduled. I am buying cds and listening to the one station that plays the music all the time now. I feel good inside. Shouldn't we all? These are NOT preachy songs. They are life-affirming. They speak about valuing yourself because God does. That is something all people need to hear, right? Listen to this - what a wonderful song. So powerful and moving. So much emotion in her voice. Then listen to this one. And this. 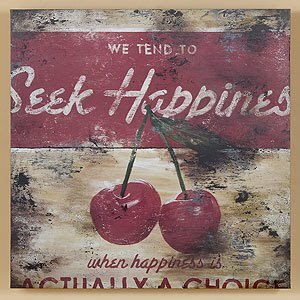 Then go and have yourself a fabulous day! I saw that quilt recently somewhere too - it is pretty awesome!